I have been working with Jin Shin for 18 years now and I am still regularly amazed at how powerful such a gentle therapy can be! 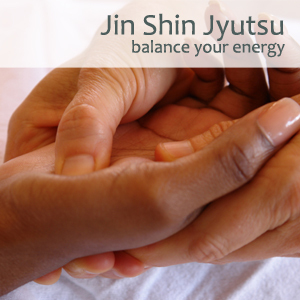 In simple terms, Jin Shin Jyutsu (pronounced, gin shin jit –sue) describes the ancient art of balancing your body energy by lightly holding certain points on the body to benefit body, mind and spirit. Jin Shin Jyutsu – What to expect? The treatment takes place in a peaceful clinic room and you lay comfortably on a treatment couch, fully clothed and perhaps also covered by a blanket. The therapist listens carefully to your description of how you feel both physically and emotionally, and makes an assessment of areas where you may need a little more balance. During the treatment you are likely to feel quite relaxed, and may even notice unusual tingling sensations as your energy clears! After the treatment you will often enjoy a feeling of calm and clarity as well as better energy levels and improved sleep. Is Jin Shin Jyutsu for me? Whether you are struggling with physical health issues or with your emotional wellbeing, Jin Shin can be a wonderful way to respond to your body’s needs, and help yourself, towards health and wellbeing. Often I send my clients home with points to hold themselves, and gradually they learn to balance their own energy too! You are very sensitive and sometimes have strong reactions to treatments. You’d like to learn gentle techniques that you can use at home to balance your energy. You are looking for gentle new ways to create balance and health in body & mind.